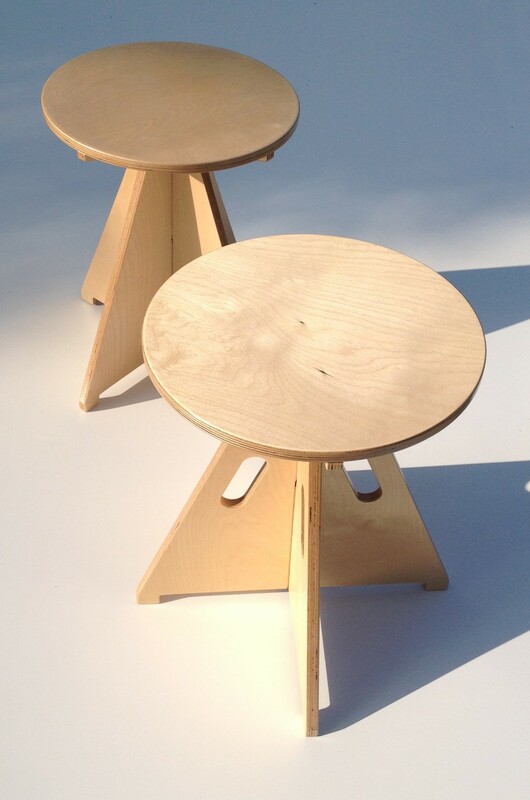 Materials: Birch Plywood in selected colours or natural lacquer. 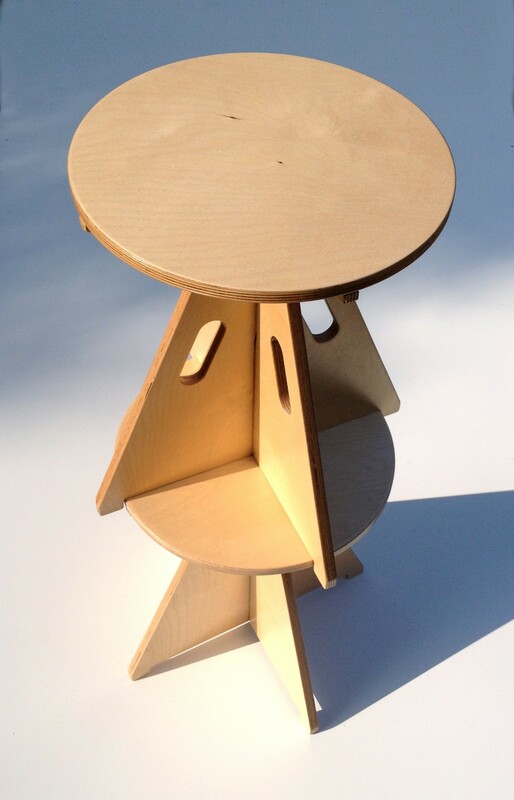 Pal (Plywood And Laminate) A simple idea for a stacking stool which utilizes precise nesting software to achieve maximum components from the sheet material. Available in a variety of versions including with or without hand grip and upholstered seat. 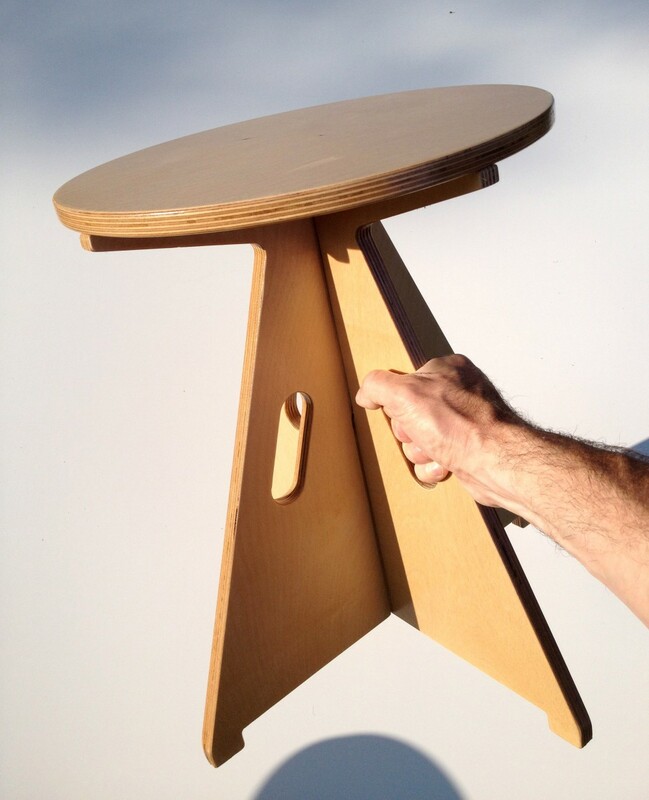 Originally we designed and made prototypes in in 2002 but reissued the stool in 2014. Also available as a cafe or dining table. 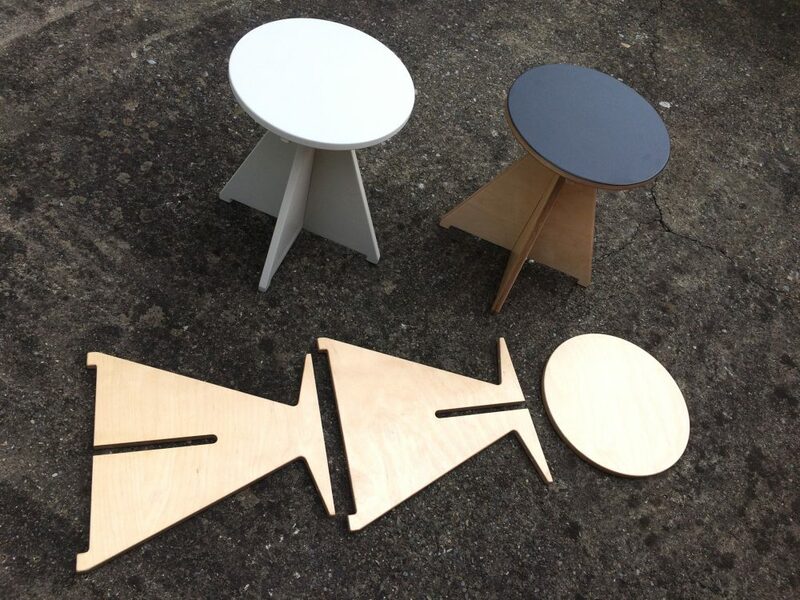 The table and stool tops can have coloured laminate in any Formica laminate colour or natural Linoleum to any Forbo Desktop colour. Contact the studio for more details.